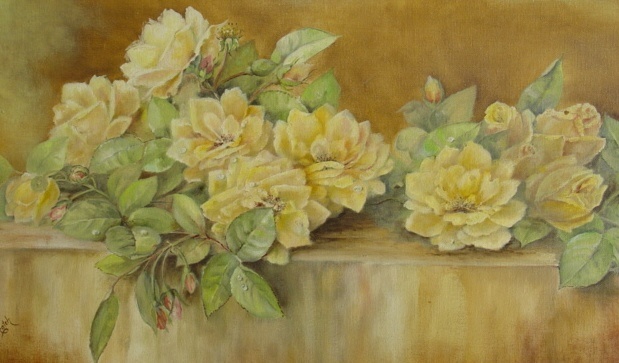 You are biding on this beautiful antique oil painting on canvas board. 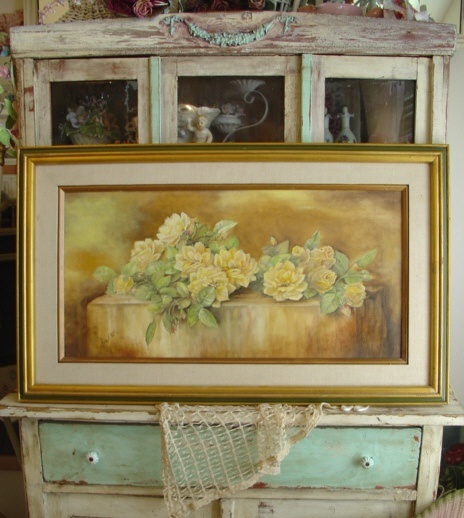 In the original gilt frame this painting is 2die4! 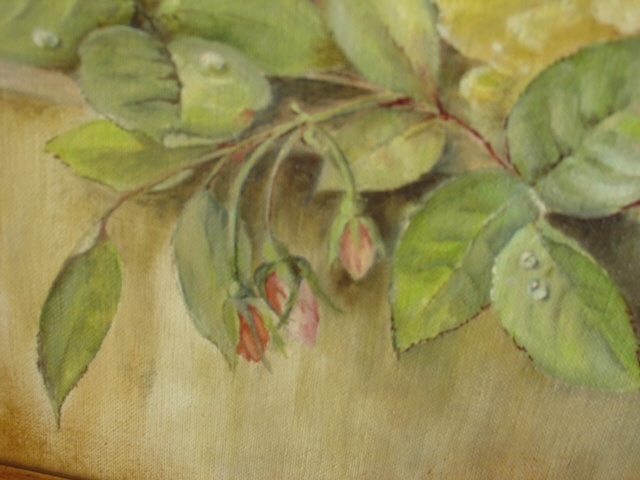 Huge cabbage roses lying down spread across the entire paintings. This is very large measuring 38" long by 22 1/2" tall. The painter is Leola F Hatch. It would be gorgeous mixed with a wall full of old oil paintings and prints, or hung over the mantle for a beautiful look. In excellent condition and signed by the artist.